Social Media is growing everyday. It is time for businesses to Use Social Media For B2C Marketing. I will show you how to use twitter and linkedin for business. You can reach to unlimited international customers using this direct contact method. The amount of potential customers that you reach out with this method is unlimited. Here is how to use twitter for business. You should have a product "neck pillow" and a website. Type "buy neck pillow" without quotes. You will get a list of twitter accounts - potential customers who wrote "i want to buy a neck pillow" or "buy a neck pillow" etc. Select their profile picture or name to get the twitter ID. Twitter id starts with @ like @shipmethis. Copy that and select Message option. Paste the twitter ID and select Next. Type "We have just added an amazing anti stress neck pillow to our store. You will love it. Check it out!". Then add the URL to the shop page and some smileys after that. Repeat this exercise to maximum people and see the response. You will get free traffic + some sales like this without spending any money. Check out the video that i made on how to use twitter for business. Everybody knows that Linkedin is a rather social platform for employment-oriented communication. It gives an opportunity for professionals to contact with their clients and customers. Having such a tool as Linkedin sales navigator, sales specialists establish valuable connections with their customers and look for bigger profits. Linkedin Sales navigator Website gives a nice opportunity to search for people who are engaged in the sphere of sales and filter them accordingly. All you need to do is to set your "buyer profile" an use search filters to concentrate on those customers or businesses you want to work with. Due to a vast set of filters, you may even look for the business that is using a certain technology such as Salesforce or Taleo. Start from Boolean search (key words with modifiers) using different filters to shorten the list of results of key customers. After finding a target person, you may also check the other important people in that business with the help of contact tools. The tool suggests best algorithm according to the search request. Remember to track and tag your search activity so that you could analyze your results. Use template if it is necessary to interact with a large list of contacts. Finding the ideal buyer does not mean that you will necessarily succeed in selling. Never push your service or product upon the person. First of all, try to establish a trustful relationship showing your personal not commercial interest. Spamming your potential customers is the worst idea ever. You need to use Linkedin Sales Navigator tools to analyze your customers' preferences and interests to create a individual buyer-orientated message. 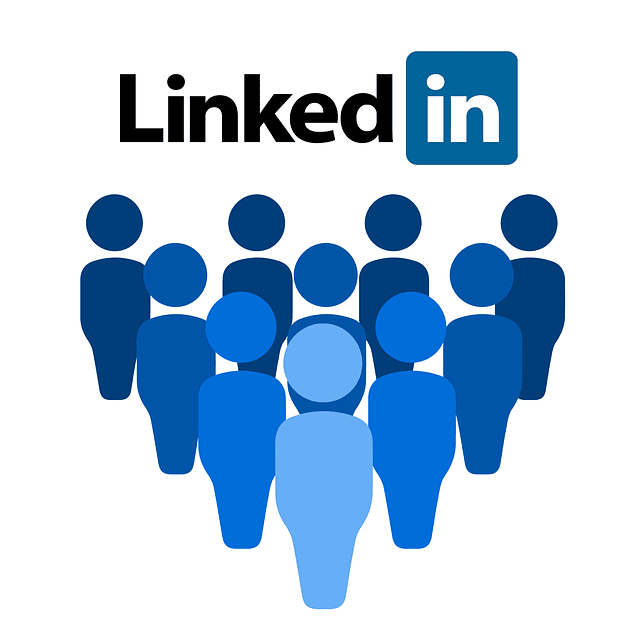 Linkedin Sales Navigator is a paid service that allows you to get an access to sales relative data promising a huge marketing potential. Unemployment and Depression are two side of the same coin. 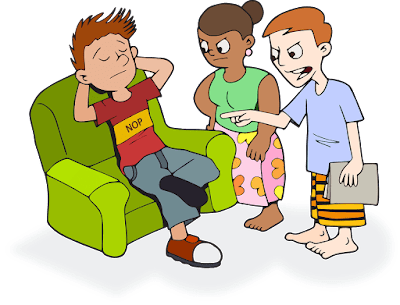 Are you being unemployed and depressed without job for 6 Months, having Job Loss and Unemployment Stress: How to Cope with this phase and want to Get Recruited but not getting any interview calls. Do you have a 6-month unemployment period after graduation or Unemployed For over 6 Months after resigning from the last job. Getting unemployed and depressed is a normal phenomenon of many and you can use this time fruitful. There are millions of people in the US who are unemployed and depressed and you are not alone. Here are 14 Tips if You've Been unemployed and depressed for Over 6 Months on how to improve your chances of to get a job, earn some passive income while having no job, escape from usual rejection e-mails, and increase confidence. Take your time and go through each point and choose that fits your interest and skill. These lessons are an amalgamation of all lessons that I learned after resigning from my last job and also some interesting comments shared by readers. This may help if you are going to resign a job or unemployed for quite sometime. When I quit my job, I had a job offer in my pocket. Though I did not take it. I went to home, took days to see what exactly I wanted to do and started blogging. Let me tell you, it is hard path. The more hours i put, the less money I was getting. My family started pointing out that I am unemployed and should start looking for a job. I was now unemployed and depressed. I could not convince them about my path nor I could not show them any result. I was devastated. I did not know what to do. I stopped blogging and send resume to many employers. If I clearly remember I send resume to at least 22 employers. 2 rejected it and I did not any communication from others. Now I am depressed and unemployed. Finally some friend of mine called about a job in an NGO far away from my place. I had to take it up due to strong family pressure and shift to a place that I have no idea about. Place was bad, job was bad, salary was ok. I continued there for 6 months and then I again decided to quit my job. 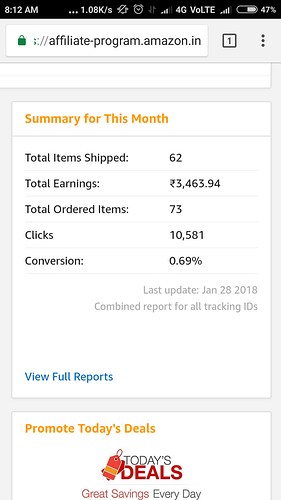 In these months I worked hard in my blog and I was getting enough money from it. 1. 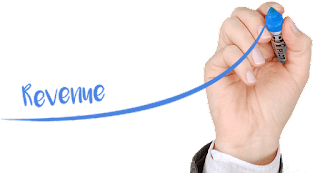 Create a source of income when you are unemployed: I am not saying that you may find success in blogging or any other stuff. But do try to create a source of income that you can depend on when you leave job. That way you do not need worry about anything. 2. 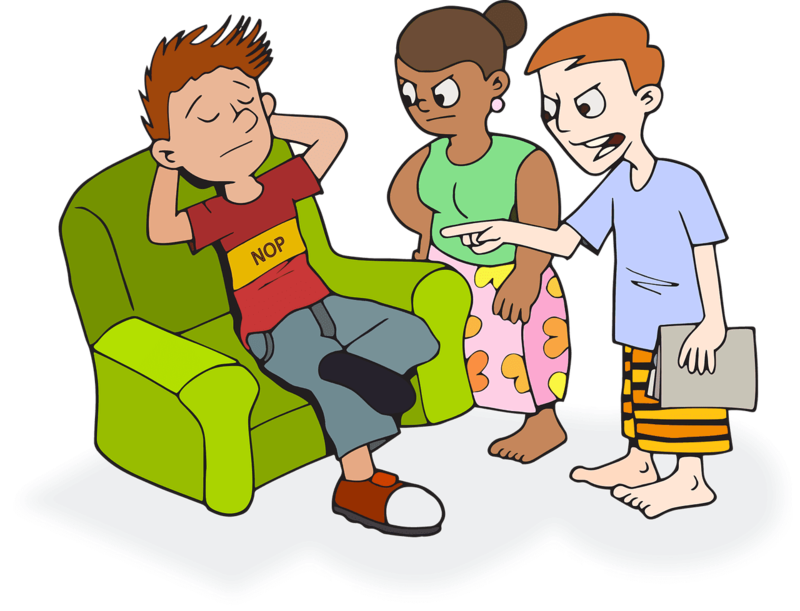 Never need to convince anyone including your family: Your family or friends or relatives do not know why you quit the job or you are not getting job. It does not matter whether you convince them or not. They are mostly not going understand. For them a steady independent earner is the best choice. 3. Read about Steve Jobs, Warren Buffet, Kiyosaki: There are many wonderful personalities who struggled all their life and then with passion and hardwork, raised millions of dollars. Do think optimistically and dont follow the crowd. 4. 9-5 Job kills: Yes, you heard it right. You are working 8-9 hours a day for fulfilling the dream of someone just because you will get some money. You are working for money. If you keep for working for money, then it will only end in your death. Money should work for you. Do read Rich Dad Poor Dad on how you can make money work for you. 5. List of stuff that you want to do alone: Do not put all your eggs in one basket. Do list out many stuff that you are passionate or have an idea. Try the best one and learn from the mistakes. Do not put all your money in that idea. 6. Do Lean Start up: A start up can be a small shop, a blog or website, an information center for your local community. This will generate income while you are a searching for a job. I have shared a few start up ideas in case you are interested. You may have an idea to build a super market. Do start a small grocery shop first and learn the business well. Then add vegetable to it, and expand slowly over 2-3 years of time. There are some who do not have any idea on doing and they just keep doing job search. For them these lessons will be very useful. 1. Never Leave A Job Without A Job In Your Hand. Always try to find another job before resigning from the current one. This will give you a piece of mind even if you are not planning to take it. If you do not have any alternate job, you may end up having no job offer and high stress, or may have to take up other jobs that are uninteresting, unfamiliar or less paid. 2. Get great reference to back you up. Build connections in the departments and in the organisations. This way there will be always good reference to back you up while you search for jobs because there are thousands of qualified people searching for jobs. If you decided to resign without any job in hand, use the time wisely. Prepare for Government exams, higher education, join a new course related to your job, write IELTS exam, get passport, join an online certificate course from an international university, learn a new computer software, train in social, writing, communication skills and learn a new language like French or German. These will back you up while attending interviews unless you will marked as Professionals with a Gap. 4. Hold on to your reasons of quitting the job. No need to get stressed and feeling worthless. You had your reasons for quitting the job. Your reasons may not be understood by others. So there is no point in clarifying your intention or reasons to others instead convince yourself. Build confidence. You can do SWOT analysis to find out your strengths and weaknesses. Family can help and support you in financial trouble. It is solely your call on whether you want to involve family. Staying with family will reduce your expenses thereby reducing financial stress. 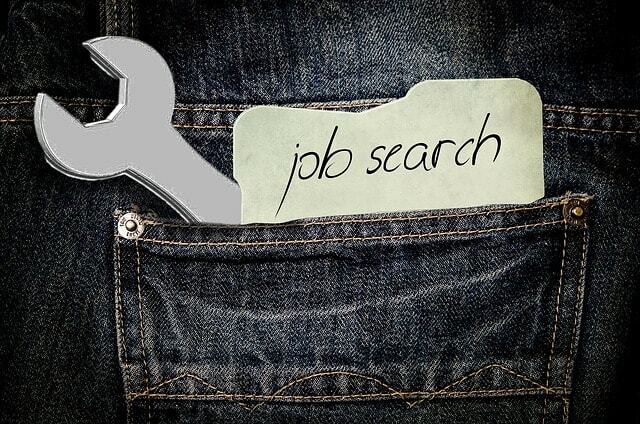 Here are some things or pointers that will help you restart your search for jobs or help you to figure out solutions. Find good model of portfolio, CVs and Resume and start adding your information. Chance of getting a job is high with an excellent resume and good academic record. Prospective employers look at the CV before they look at you. It is your CV that makes the difference in the group of other potential applicants. You also need to start improving cover letter, statement of purpose and ask your friends to rate them at a scale of 1-10. I know many unemployed people who are looking for the right job or a job that match the skills or interest. If you are really want a job urgently, do not be selective much but use filters. Apply for unemployment benefits from Government even if it is really less. Sometimes you need to get out of your degree cocoon and look for other jobs in different field. I know of a friend who have done Engineering Degree and have worked for a Space Research Organisations as an Intern and as a teacher for some years. So be open to all jobs in the market. Taking different jobs will help you to meet new people from different background eventually helping you to find the one you are looking for. Use google maps and search for all the companies nearby your area. Check the website > career section, Visit their office, check with HR managers, contact them via email to know about existing vacancies. 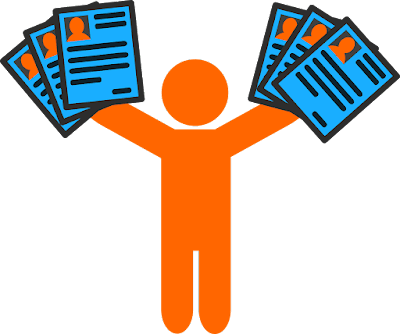 While you are searching for jobs, sign with Elancer, Freelancers, upwork and other major freelancer sites and sell your skills. 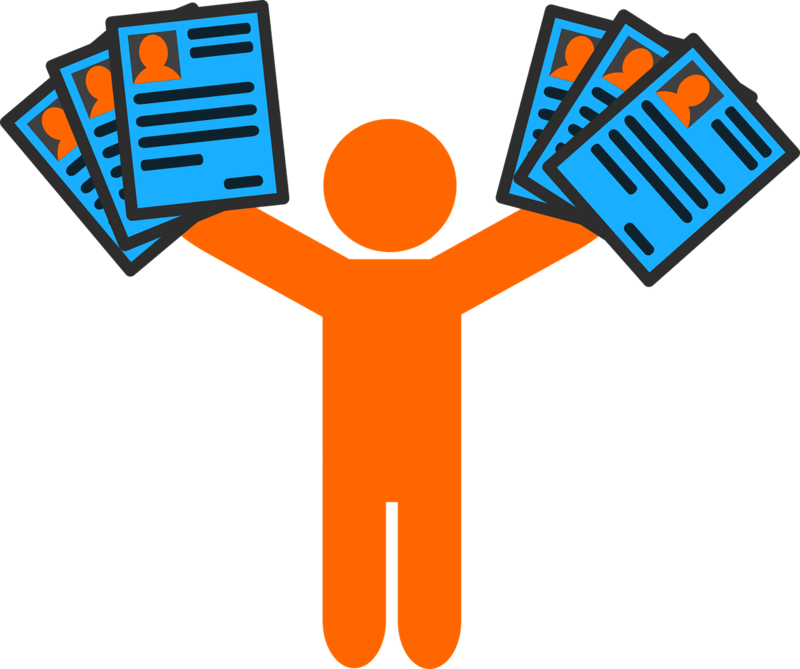 You can start applying on creating a resume for another person thereby earning income as well as learning the skill. You can post your resume in Monster, Glassdoor, Careerbuilder, Dice Indeed and SimplyHired for identifying potential opportunities. You can also post resume to regional recruitment websites to get exposure. Go to coffee shops, clubs, online forums and talk to other fellow job seekers. They will say their story which will make you feel that your life is way better. This will also help you to generate leads and tips to other job opportunities. Read here: How To Get Income From Best Online Profitable Businesses. 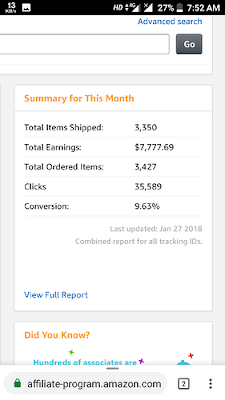 Are you searching for How Much Money Do Amazon Affiliates Make Per Month. It can be five dollars, five hundred dollars or five thousand dollars depending on the niche and season. It is just 90% of pure hard work and 10% smart work. 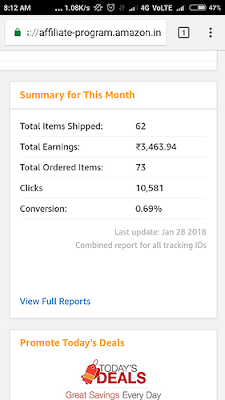 Let me show you how some bloggers really make money as n Amazon Affiliate and share you some screenshots on income per month for Amazon Associates Program. Affiliate marketing is where you promote products and services of a merchant website using links or banners. You get income or affiliate revenue when new user signs up and buy the product. Having a website with some traffic is an additional leverage only. The fundamental aspect of promoting affiliate links is to get it delivered to the right audience. I know that A picture is worth a thousand words. Here are some screenshots of Amazon affiliate income. Create an app that list of your merchant's products and service or compares various products of your affiliate products to others. You can publish the app in various app market places such as Google Playstore, Apple iTunes store, Amazon App Market place etc. CouponDunia is a great example of this app. They created an app that list all kinds of discounts thereby promoting affiliate links. Start a YouTube channel and start making videos of reviews about the products and services offered by the merchant service. Add affiliate links at the description of every video. If you have expertise in the products and services of the products that you get affiliated to it, start running courses/trainings. You can any teaching platforms and start generating money from teaching as well affiliate links. You can suggest your client to buy a specific product that you are affiliated to and get money from that. The client will get a good deal as well as you. A win-win situation. Add your affiliate links in those themes, templates and do some marketing. A podcast will help you to generate good revenue but you may need the traffic just as website. 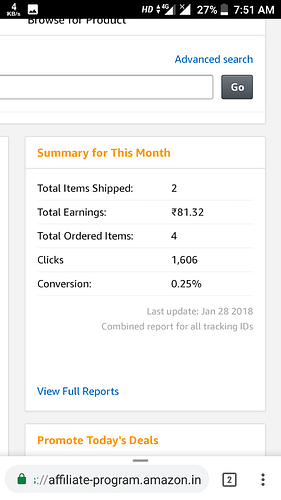 A beginner in podcast do not need to expect much of significant revenue in the first few months. There are many successful websites that have thousands of loyal readers and huge traffic. 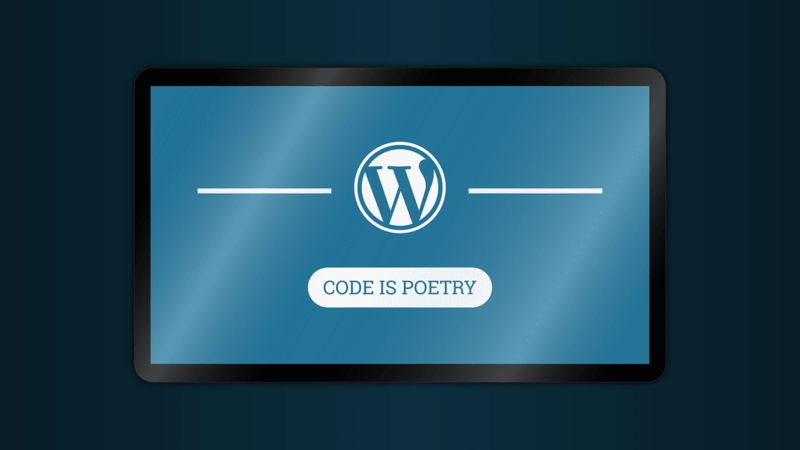 You can submit a guest blog post to these websites and add an affiliate link. You may need to write the article as per the instructions in the website. Usually guest posting is accepted by major websites. If you get your posts published in The Huffington Post or Mashables, you did not need to look back. You can use Facebook, Twitter, Instagram to create a loyal fan base and successfully generate revenue. Facebook pages with affiliate links can be used to promote affiliate links. Start with social media marketing if you have$0.00 funds to begin with and later on move to e book marketing. Create an email list and send word to everyone about a new discount or a promo code offered by the merchant website. It is that simple. 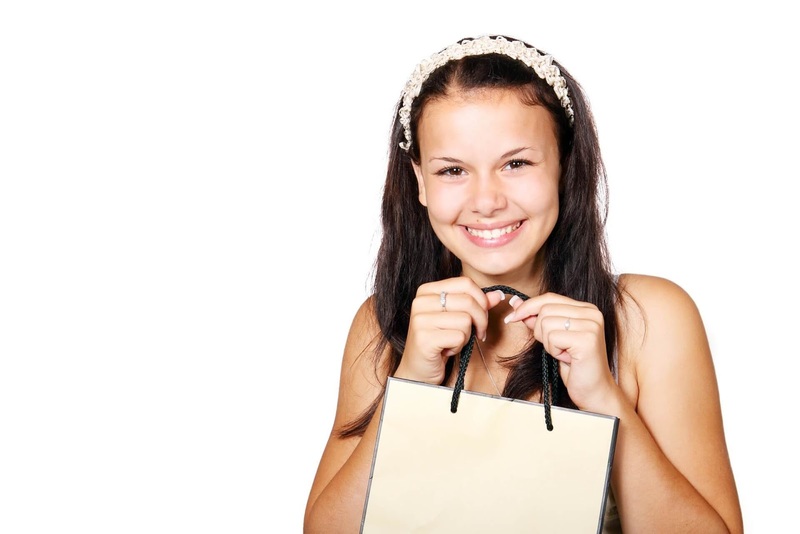 Offer incentives to buyers for purchasing your products. You can use 1-2% of the revenue to provide incentives. You can set up Cashbacks out of your affiliate revenue. Thereby promoting affiliate links and get more traffic. Set up Google Adwords account and create a campaign based on your affiliate links. You may need to spend some money on advertising. Find forums related to the niche of your promoting products and service and add comments. This way more users will end up buying products and you get money. This way you can generate money utilizing user base of the merchant website. Forums helps in building your credibility and trust among online communities. You can write an ebook on why people should buy this product or a review of the product. It is not that easy to write an ebook. But once you are ready with an ebook, you can get revenue by selling the ebook as well generating income from affiliate marketing. Squido and Hubpages already have strong readership. You can write articles in them and add affiliate links. If you are ready to spend some money, find a freelancer in Elancer, Upwork, Fiverr, Freelancer.com and ask them to write a good article on the products that you want to promote or create an e book. Find a designer to design the template, ebook, article in a presentable form. Find a good marketing manager and pay to market the product. It is always a good strategy - Word of Mouth. Do you know any friend who want to buy a product, suggest him your products and ask him to buy using your affiliate link. Give him some incentive for that. Next time he will ask you if he need to buy a product. Do you want to make a website for your restaurant. 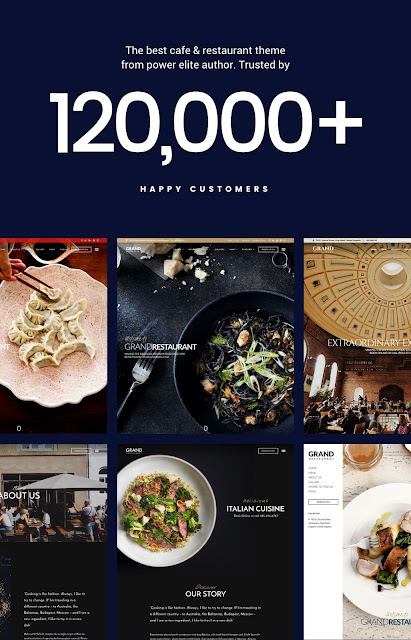 A great restaurant website is a good platform to show how good your restaurant is. Creating a great Website for Your Restaurant starts with selecting good templates and goes on adding content, pictures, menu, online order and payment option. I was searching for tips to create a great restaurant website. I was unable to find it online. I decided to write this awesome post on what makes a good restaurant website, what does a restaurant website need and how to create a great website for your restaurant. A good restaurant website consist of the template design, ease of ordering, easy payments and refunds, great online customer care, attention grabbing pictures and what not. Careful content creation and an awesome design can make it a good restaurant website. A good website for restaurant cannot be made without the personal touch of you. Only you have that secret ingredient to make it great - Passion. The same passion that you had when you started a restaurant. You only how your restaurant should stand out from others and what it stands for. Website designers and content creators can help you to build a good restaurant website when you guide them. This section of what does a restaurant website need is going to be little long. I am going to add some headings/ titles that you can use when you are going to build your great website. You can hire a website designer to create a website template for your restaurant. This will be costlier as they may charge you per hour. 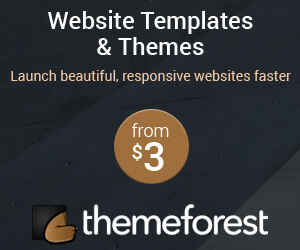 Other cheaper way is to surf Internet on topics like "templates for restaurant", "template theme for a restaurant website", "free template for restaurant website" etc. Wix.com provides an amazing and free way to make website design and launch them in minutes. Why I suggested not to use wix.com is that it will provide you a sub domain for your restaurant website. The website will be like www.your website.wix.com. It won't look good when you print in a card or say to someone. In case of SEO, sub domains cannot rank that much. 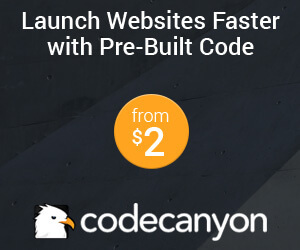 Always buy a domain and launch your website. You can buy and use the below templates. This website has 4,566 Sales with many options. Here are some heading and titles that you can use for navigation, menu, and content creation for your restaurant website. Homepage of your restaurant should grab the visitor attention and make them order food. About us is a good platform to share details about your restaurant. It would be a great idea to share your restaurant brochures to customers so that they will share to others and create good local presence. Share and tag #shipmethisrestaurantwebsitedesign for others. Are you searching for youtube partnership requirements, youtube partnership new changes, youtube partner program terms, monetize youtube and youtube monetization rules. Then you must know YouTube proposed new YouTube Partner Program New Rules and requirements on creator monetization. That is 4000 hours views in one year, 1000 subscribers and 30 days grace period. I woke up today and checked my email on 17 January 2018. There was this very shocking mail from YouTube Team on titled Important updates to the YouTube Partner Program. The email content is added below and I know all of you got the same emails. Now what are they thinking? Comment of a small YouTuber: "I got the email from youtube which said i need 4000 hours. I had 4,440 and i literally jumped out of joy it was only later that i realized i had 4,440 minutes, which is just 74 hours. Now, i feel like i have to climb mount Everest"
Under the new eligibility requirements announced today, your YouTube channel, , is no longer eligible for monetization because it doesn’t meet the new threshold of 4,000 hours of watchtime within the past 12 months and 1,000 subscribers. 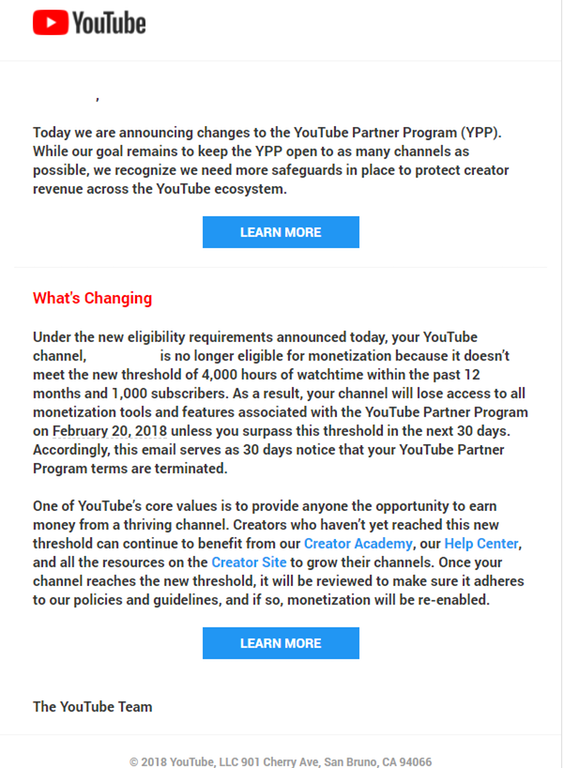 As a result, your channel will lose access to all monetization tools and features associated with the YouTube Partner Program on February 20, 2018 unless you surpass this threshold in the next 30 days. 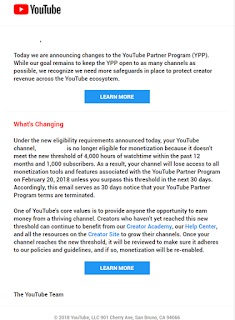 Accordingly, this email serves as 30 days notice that your YouTube Partner Program terms are terminated. 4000 hours and 1000 subscribers in 30 days is impossible for small channel creators and You know it. I checked Reddit and they are going crazy over this decision. Many small creators feels that they were betrayed from Youtube because it is merely impossible to get such kind of reach in limited number of days. Youtube Team handled the Logan Paul Situation very badly. It is clear that this decision is aftermath of that. Someone was saying that it feels like because someone was late for class, the entire class got punished. This is an accurate description on what happened with small channels who were making less money from YouTube Partner Program. Imagine your channel is getting 4000 hours in last 12 months but only have less than 1000 subscribers, this means you cannot monetize the videos. Imagine you channel have more than 1000 subscribers but got less than 4000 hours views which 240000 minutes in last 12 months, you still cannot monetize the videos. 4k Hours per year is almost impossible for small creators who depend on organic traffic. It would be great idea to check the current marketing strategy and use other means of promotions. I am not sure how fast a small creator channel can achieve such a huge requirement. But if you want to monetise, there is no other way. YouTubers are searching for alternative platforms for monetizing the content. Unfortunately Vidme, an alternative to YouTube is closing down due to lack of engagement and community contribution. Vimeo can be one one option for uploading videos. How To Invite Multiple Users and managers To Manage Your Youtube Channel without disclosing login Id and Password. All the channels which are not met the YouTube new requirements, have received the following message. As a result of changes to the YouTube Partner program requirements, your channel is currently no longer eligible for monetization. Here is a list of all new Exciting New Royalty Free Popular Releases in Envato. 2. 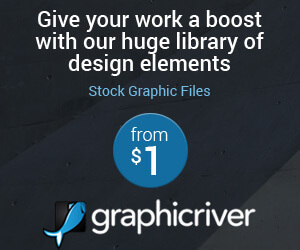 The popular releases in Graphicriver include Graphics, Print, Web Elements, Add-ons, Vectors, Presentations, Infographics, Icons, Fonts and Logos. 3. 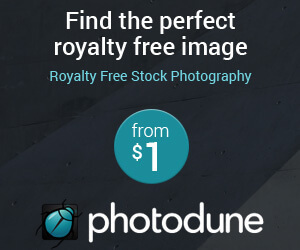 The popular releases in Photodune include photos and images related Animals, Architecture, Business, Food, Health, Sports, People, Technology, Travel and Video Footage. 4. 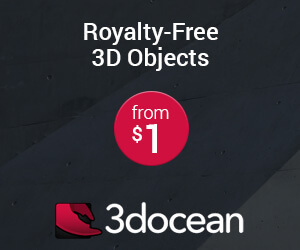 The popular releases in 3Docean include 3D Models, Cars, HDRI Images, CG Textures, Materials & Shaders, Base Meshes and Scripts & Plugins. 5. The popular releases in ThemeForest include WordPress, HTML, Marketing, CMS, eCommerce, Muse, UI Design and Plugins. 6. 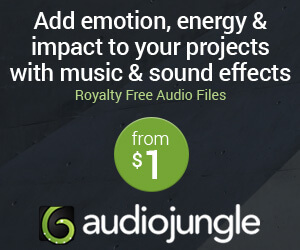 The popular releases in Audiojungle include Music, Music Packs, Music Kits NEW, Logos & Idents, Sound Effects and Source Files. 7. 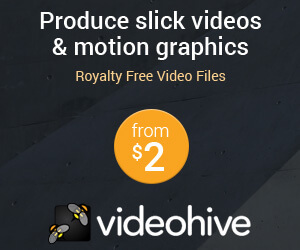 The popular releases in Videohive include After Effects Project Files, Apple Motion, Motion Graphics, Stock Footage, Cinema 4D Templates and Add Ons.